Various sources raved about Ijsselmeer, a huge artificial lake of great beauty just outside Amsterdam. 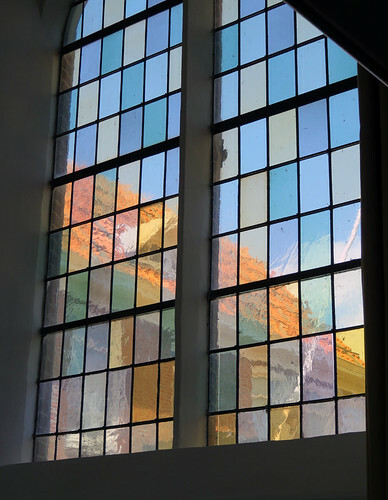 Our plan was to visit the three villages of Hoorn, Edam and Marken in the area. 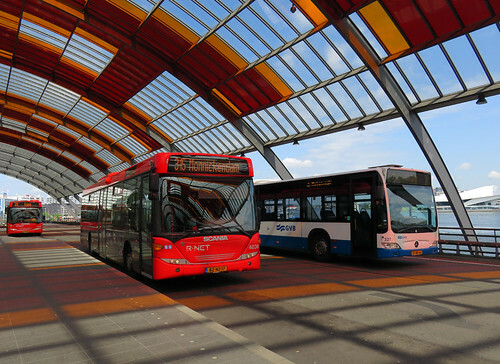 Our B&B host told us that at the back of Amsterdam Centraal you could buy a 10€ bus ticket that would take you out into the countryside and was valid all day. 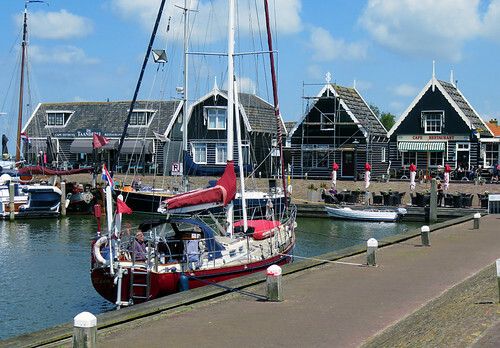 We decided to do the ‘Harbours of History’ Route to Marken, Volendam and Edam, and fit in Hoorn if there was time. 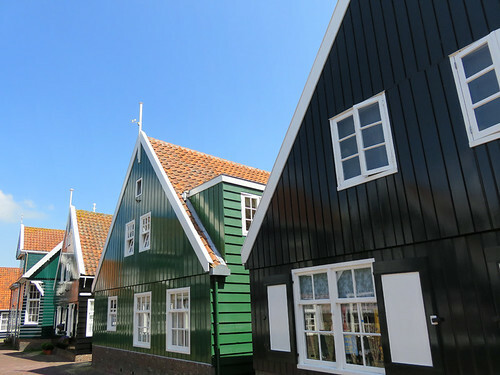 Our B&B host had exclaimed over Marken, “The houses are painted all different colours.” In reality they were all painted either black or dark green with white trim and the occasional red exclamation point. 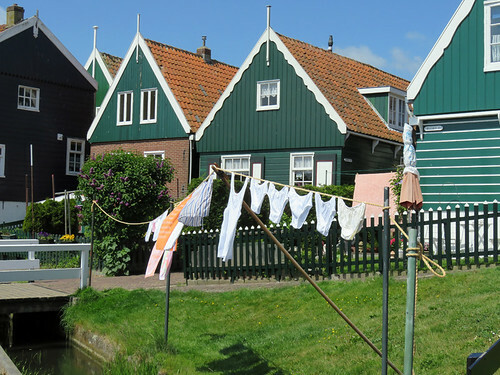 The most exciting thing to do in Marken was to check out the underwear hanging on the lines. This was a white set but the neighbours had shameless black hanging from their lines. 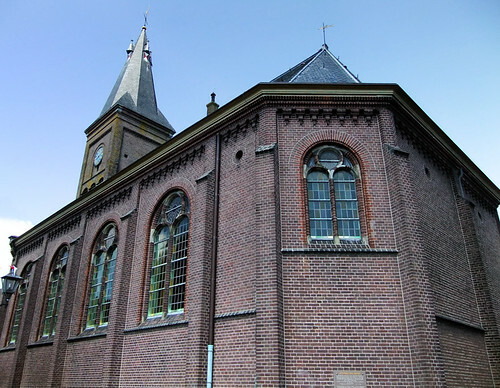 The church in the village looks foursquare and plain on the outside. 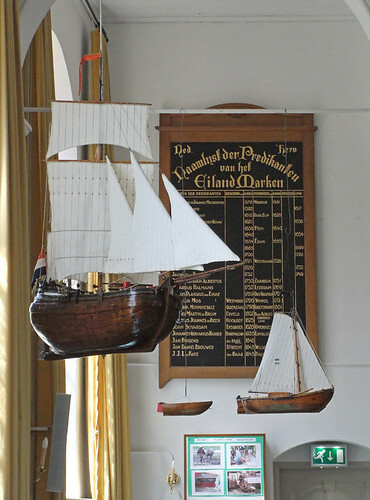 Model boats inside the church reflect on this village’s history with the sea. 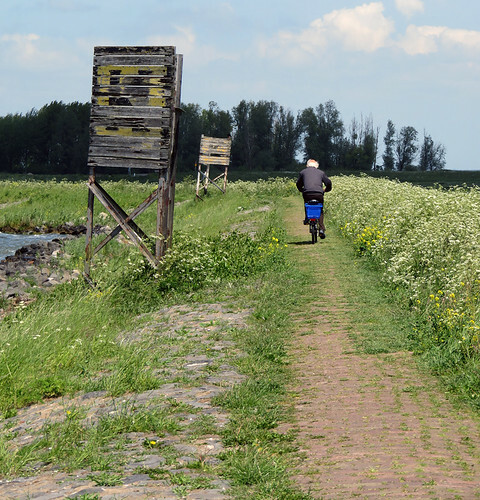 There is a long trail along the dyke that leads to a lighthouse.. But we opted to stay in town and stop at a café along the waterfront. 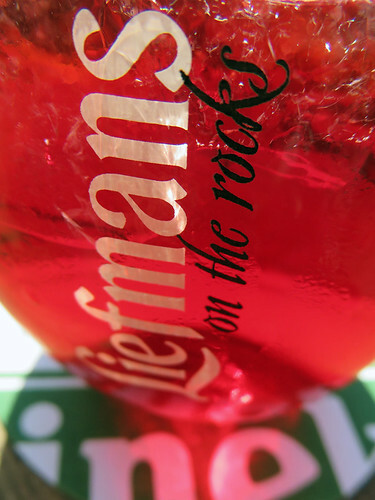 Light and fruity, perfect for a sunny day! 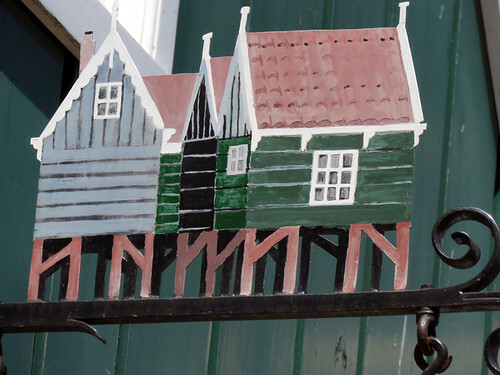 From Marken the next stop on our itinerary was Volendam, a short ferry ride away. 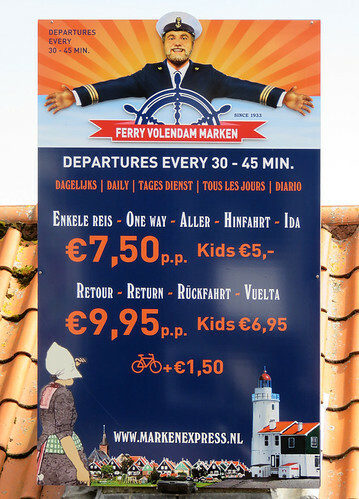 The ferry is not included in the 10€ bus ticket. 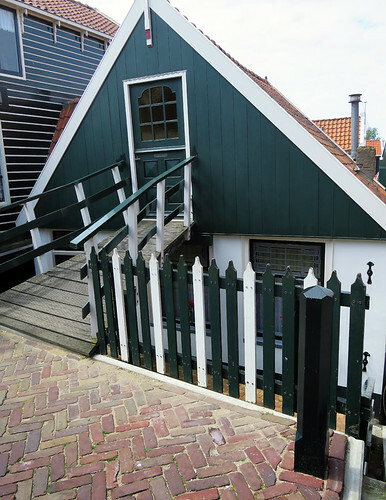 Leaving Marken. 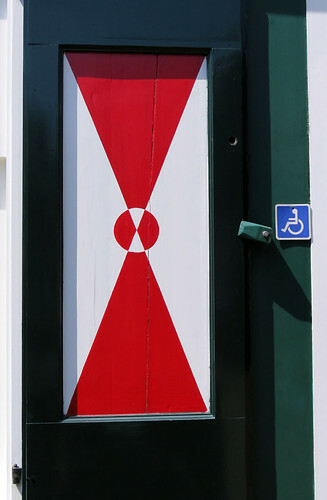 An exclamation point on a door grabbed me. Could look pretty cool on cabinet doors as well.